Miguel Sanó is nearing his return to full time activity. After going through so much since being named an All Star, I don’t think there’s anything that would make him happier right now. 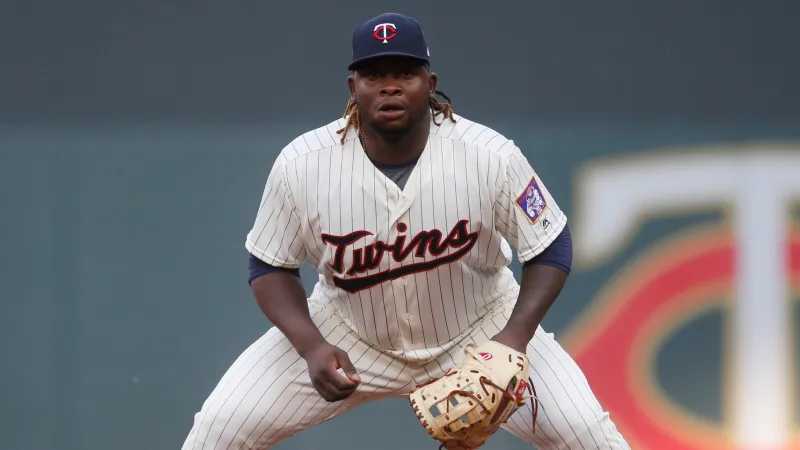 But, looking back at all the events in the past eighteen months of his career, Twins fans should ask themselves a list of questions about his return to the team. Trying to anticipate every possible scenario could be a good way for Twins fans not to overreact if he doesn’t play very well at first and to have an opinion on how to assemble an even stronger lineup if he does. How is Sanó going to return? Nobody can know for sure which Sanó the Twins will get when he returns. In 2017, everybody believed he had had his breakout season and was bound to be the stud of the lineup. In early August of that year, though, shortly after an All Star Game appearance, he was hit in the shin and was sidelined for the better part of the remainder of the season. He got back in late September, but Paul Molitor chose not to put him on the Wild Card roster. Then, maybe because of his conditioning or perhaps because he wasn’t confident enough to be back at that point because of his procedure, he developed a new injury during the first full month of regular season. In early May he was placed on the 10-day disabled list with a left hamstring strain. At that point, it was clear that he was not even a little bit close to the All Star he had been months earlier. Even though he posted a not terrible .739 OPS and hit five home runs, he was batting only .212 and struck out 36 times in 90 PA, which represented a 40% K%, a league worst among all major league hitters with that many PA. He got back from the DL and things only got worse. His first game out of the DL was on May 25th and he went on to play another 17 games. In that span, he had 73 PA, batted .191 and struck out even more than before, with 41.1% of K%. Before the middle of June he was optioned to Single-A Fort Myers, where he spent the rest of June and almost the entire month of July. He returned to MLB in late July for a third stint, but it was basically all of the same. His K% dropped to 36% during the 34 remaining games of his season and he batted only .195, with six home runs. After by far his worst season as a major leaguer, Sanó was poised to turn things around. He started his path to redemption by playing for his hometown club Estrellas Orientales to claim its first national title of the Dominican Winter League since 1968. He made some Instagram posts in which he was much thinner than he finished last season and raised a lot of questions. But when he showed up at camp this year all the suspicions were confirmed. It was reported that he had lost roughly 25 pounds, after finishing 2018 at 290 pounds, according to MLB.com. But apparently he couldn’t just catch a break. During the celebrations of his hometown team title, Sanó suffered a cut on his foot and had a heel laceration. At first, he was expected to miss only the first week of Spring Training, but he ended up missing the whole thing. Since the healing of the wound didn’t go according to plan, he needed to undergo a procedure that would most likely have him be sidelined until May. Let us work with all the scenarios now. Say he struggles when he comes back. What then? Do you trade him? Do you give him another chance? Each fan would have their own opinion here, so it would be difficult to predict a definite outcome. A number of fans are looking at this year as Sanó’s last chance in Minnesota and if he comes back in May and doesn’t play at the same level that the Twins hitters are playing right now, I don’t see a lot of those fans wanting him around. In his defence, you could say that Marwin Gonzalez, the Twins current everyday 3B, is not hitting nearly as well as most of the lineup. But he is providing stellar defense. It would be a very tough decision. So, do you try to work out a trade involving him? I guess many people would try that, but it’s hard to imagine a lot of teams interested in Sanó if he doesn’t play well enough during the two months before the trade deadline. All those questions are impossible to answer, but let’s imagine La Tortuga’s AVG never drops. Let’s imagine Cruz keeps up the incredible season he’s having. Who do you have? If you make him the everyday 3B, what do you do with the loss on defense, since you won’t have Gonzalez there that much? I’m sure that if Cruz doesn’t slow down, it will be a rarity to see him have more than one or two days off every week. A 13-man pitching staff has already become the normality around the league. Do the Twins dare to go with twelve, if all the bats are working? That, to me, is the hardest question so far. And it becomes even harder to think of an answer, if you imagine the Martín Pérez experience not paning out the way the front office planned. If he struggles as a starter, you risk overloading the pitching staff too much if they are carrying twelve arms nowadays. Assuming all of them are performing as well as they are right now in this hypothetical future, who do you let go of among Astudillo, Garver, Gonzalez and Jake Cave, the Twins only backup outfielder? If he's doing well, Marwin's PT drops and I think Adrianza gets the DFA. Right now, keep him stashed on the IL as long as possible. I'd rather see the Tortuga situation play out completely. I think you already set out the simple solution - DFA Adrianza when Sano gets back. The flexibility of Marwin and Tortuga allows the Twins to give Sano another look. I just don't want to cut ties with Sano and end up with another David Ortiz scenario. Gonzalez remains valuable because of his contract and skills. Astulido goes \back to the minors to work on catching, especially if Garver hits, because Willians will be the next great backup. Sano produces or is optioned out with a chance to redeem himself again. Hope he isn't the next Oswaldo Arcia. But who knows. I almost picture them sending out Cave (because of options) and keeping Adrianza until they are certain about Sano at third.